Citizen Potawatomi Nation’s FireLake Golf Course is a great place to learn the sport. Its amenities include a driving range for working on long shots as well as a three-tier putting green and a chipping area with sand bunkers for perfecting short game. 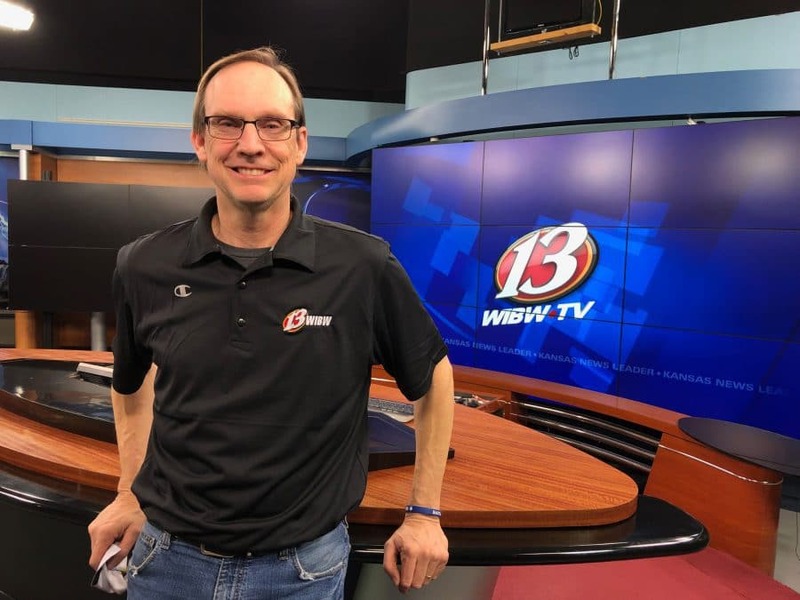 The Tecumseh High School athletic department approached course director Chris Chesser in 1997 about allowing their recently founded golf team to use the facilities. It is the only public course in the area surrounding Shawnee, Oklahoma. Coach Chad Trahan says the opportunity has helped the team expand. Tecumseh High School golf team member Cooper Barrick practices at FireLake Golf Course each weekday for no charge with the rest of his teammates. Chesser occasionally assists Trahan with coaching. Both are grateful to Tribal Chairman John “Rocky” Barrett and Vice Chairman Linda Capps for their show of support. 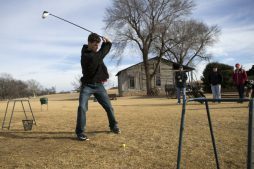 Students bring their own clubs and practice weekday afternoons when the weather is nice — 10 boys and four girls complete the team. They train on the course only when they are able to do so without interfering with paying customers’ rounds. Last summer, FireLake reopened following a complete renovation, and the improved greens present new training opportunities. “They love to be able to go to a nice golf course and have the luxuries of getting the chance to play golf,” Trahan said. Many of the athletes join the team with no experience. They learn a proper grip, how to swing the club and hit various types of shots. Trahan focuses on the regulations, as the golfers score themselves and track their progress. Since Trahan began coaching four years ago, at least one Tecumseh High School member has qualified for the state tournament each year. In 2015, two qualified. Trahan said training them is rewarding. The team also attracts visitors by hosting the Tecumseh Boys Invitational and Tecumseh Girls Invitational at FireLake each spring. Several of the customers often donate used balls to the school’s program. They collect them as they complete the holes and end up with 50 to 100 they pass on for practice. Visit firelakegolf.com or facebook.com/firelakegolf for more information.